The Volkswagen Group will develop a family of entry-level electric models based on its forthcoming sub-£18,000 ID ‘people’s car’. During a financial presentation recently, the Group detailed plans for an ‘MEB entry family’ among the initial wave of electric vehicles planned to be introduced under the sub-brand before the end of 2025. 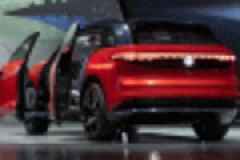 The family was listed alongside a number of models already confirmed for production by Volkswagen, including the ID hatchback that's due to be revealed later this year and the ID Buzz MPV, as well as upcoming offerings from sister companies, Audi, Porsche and Skoda. Volkswagen Group chairman Herbert Diess said the MEB platform would spawn “small city cars” as part of its expanded electrification plan. Official confirmation of the so-called MEB entry family follows the confirmation of an ID model, known to insiders as the EV people’s car, for around £17,200, as previously reported by Autocar. Volkswagen’s head of strategy, Michael Jost, told Autocar the company is aiming to build the cheapest in a range of new ID vehicles and confirmed it was planned to be built in Germany. The company expects each model to be constructed in less than 10 hours. “Electric cars can be built faster than ICE models, at much less man hours." Jost said. "But you have greater material costs. That means labour costs are not such a critical component in the overall production cost as they are today." 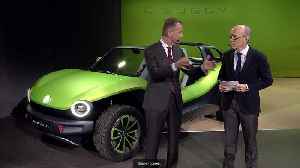 Jost indicated the new entry-level model would go on sale in 2023 with a number of different battery options, the smallest of which would provide a range of around 124 miles. Although Volkswagen is holding back on just what form the new ID model will take, insiders suggest it will be a small crossover-style vehicle in the mould of the recently introduced T-Cross. 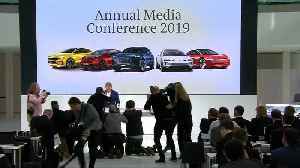 The reference to the MEB entry family suggests that fellow Volkswagen Group brands Seat and Skoda are likely to offer their own takes on the new model. 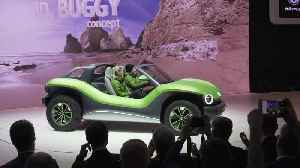 Volkswagen introduced the next member of the ID concept family at the 2019 Geneva International Motor Show - the ID Buggy. 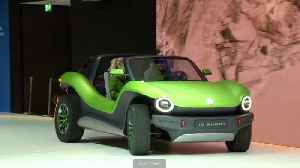 Drawing inspiration from the classic Californian dune buggies of the 60s, the..